Our charming five bedroom guest house is situated in the heart of Malaga's old town. The building was originally built in 1860 and has undergone extensive renovations in order to transform it into an place of calm and superior comfort for our guests. Upon arriving, you will notice the Andalucian flair for which the south of Spain is cherished; the original tiles of the building were lovingly restored for the new floors and an open air patio at the back of the building allows guests to relax and wind down after a day of activities. 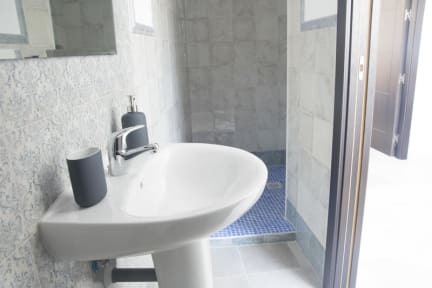 Each room has been outfitted with air conditioning for the warmer nights as well as a ceiling fan for the cooler ones, a flat-screen television for your enjoyment.There are three types of the rooms: Double room on the ground floor, double with balcony and junior suite with balcony. Rooms can accommodate up to 2 guests. The junior suite has 18 sq meters and apart of bedroom has a small living room with sofa and a desk. Window faces the inner patio and the living room has a balcony. 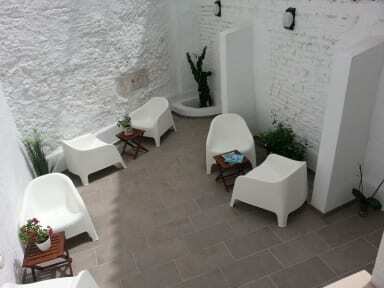 La Siesta Malaga is located in the heart of Malaga's old town. Only one minute walk from Picasso's birth place and Plaza de la Merced where you can find bars and restaurants. Just a hundred meters from Picasso's birthplace and the rest of the many cultural attractions Malaga has to offer. The most important sights such as Alcazaba, the Port, beach and street Larios are all based within easy walking distance.